A set of original glasses for interior decoration, presenting or personal use. 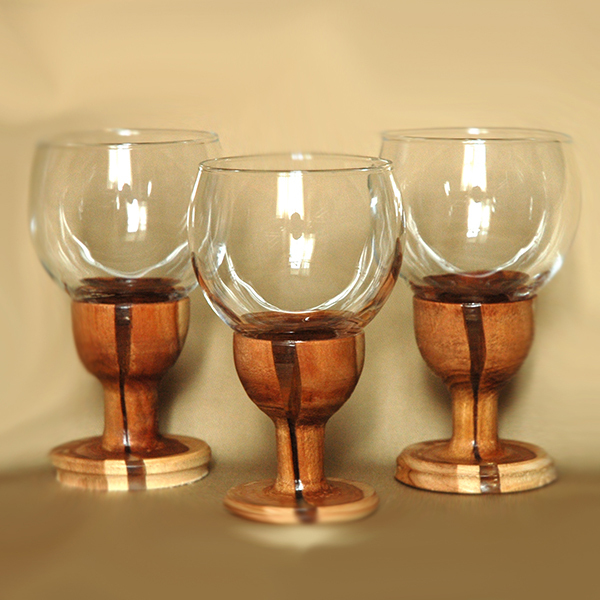 The stem of the glass is made of natural apple wood with insertions of jewelry resin. Gift packaging is available. Note: please don&apos;t use aggressive detergents. Don&apos;t wash in dishwasher.